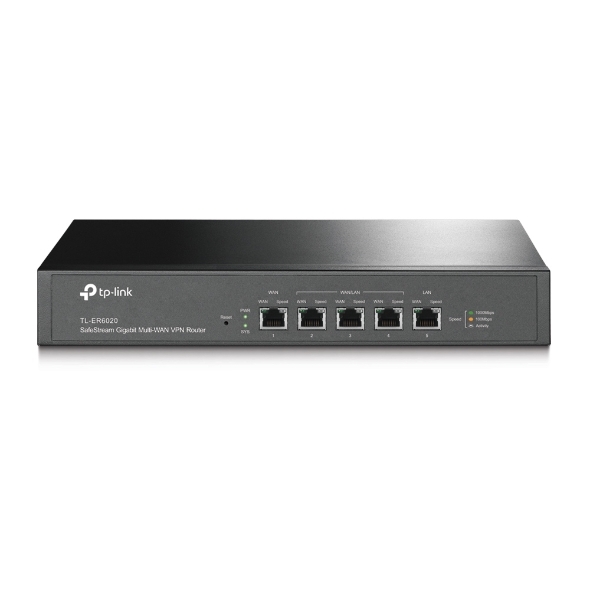 The TL-ER6020 SafeStream Gigabit Multi-WAN VPN Router from TP-Link boasts excellent data processing capabilities and an array of powerful functions, including IPsec/PPTP/L2TP VPN, Load Balance, Access Control, DoS Defense and Bandwidth Control. 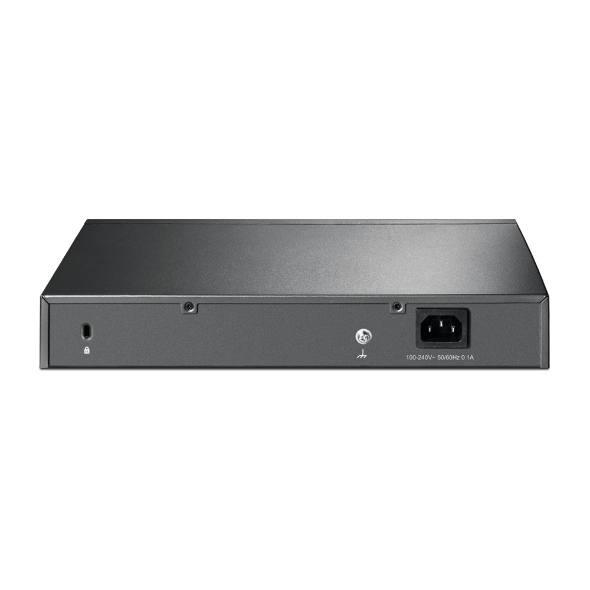 The TL-ER6020 is ideal for small and medium businesses, along with hotels and other settings where a large number of users require a stable, secure connection. The TL-ER6020 supports pass-through traffic together with multiple VPN protocols including IPsec, PPTP and L2TP in Client/Server mode. It also features built-in VPN engine hardware, allowing the router to support and manage up to 64 LAN-to-LAN/Client-to-LAN IPsec VPN connections. Advanced VPN features include DES/3DES/AES128/AES192/AES256 encryption, MD5/SHA1 authentication, and Main/Aggressive negotiation modes. With a 64-bit dual core network processor, TL-ER6020 is able to handle multiple tasks while maintaining excellent performance. 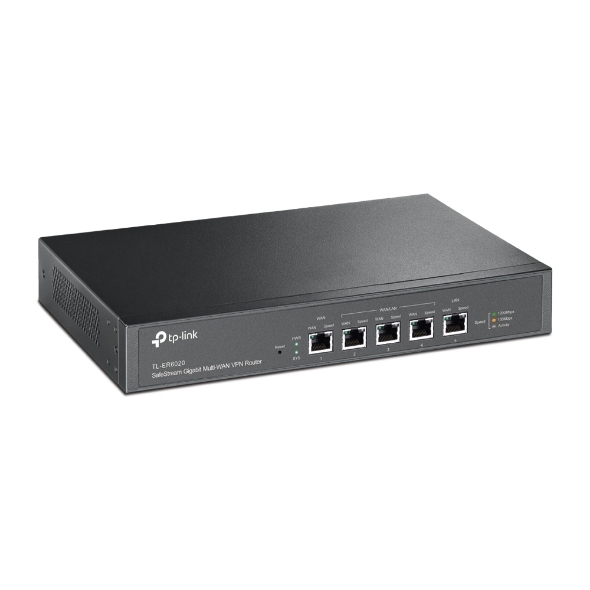 The TL-ER6020 features 1 WAN port and 3 WAN/LAN ports, allowing one device to meet multiple requirements. Intelligent Load Balancing distributes data streams according to the bandwidth proportion of each WAN port to make the most of multi-line broadband. IP-based Bandwidth Control and Session Limit functions give network administrators the power to flexibly manage how their bandwidth is used. Professional-standard lightning protection1 prevents electrical surges from penetrating your network equipment, instead discharging them harmlessly into the Earth. Designed to withstand 4KV of electricity when well-grounded, this router ensures your network investments remain as safe as possible from the wrath of Mother Nature.